@margokingston1 I'm still waiting for the public reprimand of Pyne & Entsch for their lies to Australian public & inappropriate behaviour? I’ve got a bee in my bonnet about the Coalition’s May 16 response to the revelation of its decision to refuse Labor MP Michelle Rowland a pair to be with her ill baby. I believe it is a baseline responsibility of political journalists to require that politicians tell the truth to the public. If they don’t, more politicians will lie more often, and the public will be more misinformed than they already are. It’s an accountability responsibility of the fourth estate which involves seeking to uncover the truth and insisting that politicians who have not told the truth correct the record and explain the reasons for their falsehoods. Last Thursday, May 16, News Limited papers published the news that Mr Entsch had refused Ms Rowland’s request for permission to return to Sydney early to be with her sick baby. Press gallery journos on morning duty outside the doors of Parliament House, and the gallery, led by Fairfax media, Nine news and ABC radio, did a strong job getting most of the truth and the lies on the public record. Due to Pyne’s transcript cover-up, the record of his doorstop was missing, and I published it after Fairfax online editor Tim Lester kindly sent me the audio feed available to the Press Gallery. But hey, the issue blew up on budget reply day and Press Gallery journos moved on. Fair enough – there’s a lot fewer of them these days, and they have many more platforms to fill. So there’s a gap that new media needs to fill. We can’t do the job as well, of course, because we aren’t backed by big media employers and thus don’t have the power to pressure politicians to answer our questions. But we can put on the record the fact that politicians who have misled the people have been asked to correct false statements. My first step was to DM Ms Rowland asking her to write a piece detailing her version of exactly what happened. And that’s when I realised that there is yet another factor in play in the brave new world of public affairs that I hadn’t comprehended – the social media pressure on politicians not to pursue stories to protect themselves from harm. She was happy to give me the facts as she knew them, and I talked her into letting me quote her for this story. If you missed it, see last night’s awe inspiring rant by Mr Richard Chirgwin about the Coalition not bothering to turn up for the introduction of the Disability Care Bill. I had hoped that our media would report this lack of respect this morning, but no. Did you know that Mr Abbott’s reply speech to the budget is more important than a mother taking time off work to care for her sick baby? It is. The Coalition did not grant ALP MP Michelle Rowland a ‘pair’ so she could fly home to care for 14 month old baby: Opposition blocks bid to be with sick baby. So let’s re-cap. In one 24 hour period, our Coalition Opposition and soon to be our Rulers as the Australian media keep telling me (personally I would prefer to actually vote first) have insulted every disabled person in this country by not bothering to attend the Bill’s introduction. I am sure the Coalition will backtrack on Ms Rowland’s dilemma, and there will be excuses of “Not being aware of the seriousness of the pairing request” blah blah. What the Coalition cannot backtrack on is their non-attendance in Parliament yesterday. Yes a budget is important, but it happens every year. This historic Bill is a one-off. It should have been a day of celebration for the disabled, their families and their friends, and a celebration of our nation shared by all! The relief for so many in this country who live in fear that they will die and not be able to care for adult disabled children is more important than a budget response. The fact that a family with a disabled child will be able to move State to better their circumstances if the opportunity arises due to standard nation-wide care is more important than a budget response. The simple promise that carers of the many disabled in this country have some surety about the future of their families is more important than a budget response. I could give many more examples. The very least the Coalition could have done was attend this sitting to show that they supported these people. It has been suggested this morning that the ‘No-Show’ is not really that big a deal, as it has already been made clear that they would support it. I am sorry, but I disagree. Our MPs are employed to represent US, the Australian people, in the electorates where they were privileged enough to receive a vote of confidence from us, that they would represent our interests to the best of their ability. Unless all these members that did not bother turning up for Parliament do not have any disabled in their electorates, I fail to see how that is representing their electorate? Mr Abbott will have nothing to offer in his Budget reply except to say ‘This is a bad Government, ‘This Government can’t be trusted” blah blah. 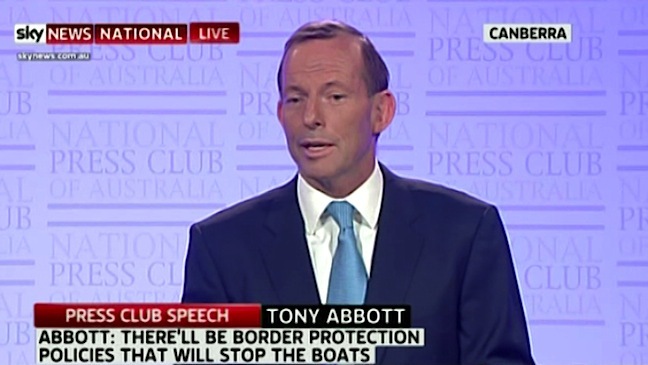 You can guarantee that all of the Coalition have bums on seats to cheer Mr Abbott on.